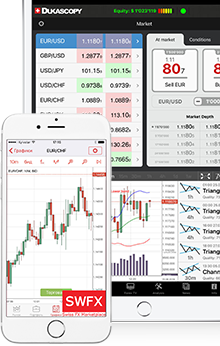 Dukascopy trading platforms provide access to Swiss Forex Marketplace (SWFX). The platforms are designed to deliver ability to act and react quickly under different market situations. Panes are organized in such a way that users can easily monitor the market, current exposure, manage their orders and positions, follow the evolution of their equity, leverage and performance. All platforms support a wide range of trading orders, such as: Market, Limit, Stop, Take Profit, Stop Loss, Stop Limit, Trailing Stop, Place Bid/Offer, OCO, IFD etc. "Slippage Control" functionality, allows controlling maximum price slippage on execution. 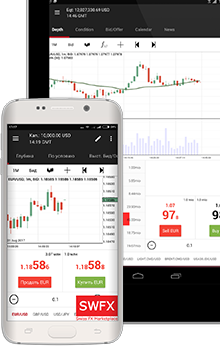 There are two trading modes available on the platforms: “Net Position” and "Hedging" mode. 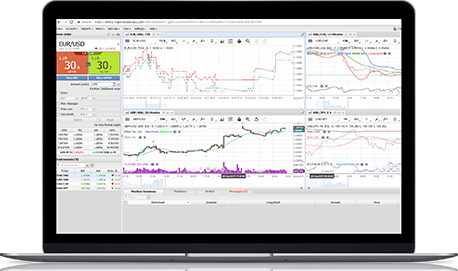 “Hedging” mode allows the trader to keep different direction positions for the same trading instrument, with possibility to "Merge" them. 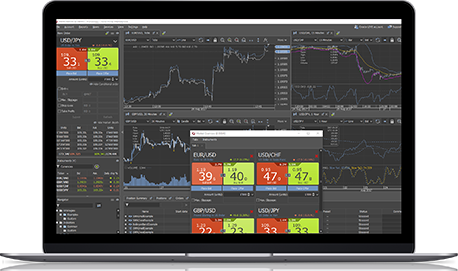 "Net position" mode displays all orders for the same currency pair in one position.